As we always say to our new players and prospective members alike here at Profit Accumulator, matched betting is a complicated approach to sports betting, but one that is made easy by us. You can also rest assured that it's definitely worth the effort to sign up to our site, given the thousands of pounds that you can quickly start making each and every month. Another reason to register with us right now is that as we enter June, we are entering one of the busiest times of the year for sports fans, and therefore one of the most lucrative ones for those looking to make money from betting. Here are just some of this month's big sporting events on which you may fancy placing a few matched bets. What more can be said about the continent-wide football extravaganza set to take place in France from 10th June until 10th July? Whether you're a football fan or not, you can be sure that the pubs will be packed, especially for England's opening fixture against Russia at Marseille's Stade Velodrome on 11th June. We've made it even easier for you to get in on the fun with our complete Euro 2016 sweepstake kit, and one of the best things about the Euros is that there are always points of interest for committed and casual matched betting fans alike. How significant will France's home advantage be? Can the Germans complete a World Cup and European Championship double? Will England match or better their Euro 2012 quarter-final effort? We don't have to wait long for answers to all of these questions and more. The June International Window sees a host of fascinating Rugby Union encounters, largely in the Southern Hemisphere. All Six Nations teams are involved, with Grand Slam winners England first set to face Australia at Brisbane's Suncorp Stadium on 11th June, while Ireland will test their mettle against South Africa in Cape Town on the same day. The action continues throughout the month, with Scotland facing off for the first time against Japan at Toyota Stadium on 18th June. Wales' first clash with New Zealand, meanwhile, will be at Eden Park in Auckland on 11th June. There's certainly plenty of reason for British sports betting fans to keep up with events at Oakmont Country Club in Pennsylvania, Paddy Power giving Rory McIlroy odds of 13/2 alongside Australian Jason Day. Jordan Spieth, Rickie Fowler and Justin Rose are among those also fancied, while one especially illustrious former champion - Tiger Woods - has also signed up to participate. There's no guarantee that the three-time US Open winner will actually show up as he continues his rehabilitation from two back surgeries last fall, but his 33/1 odds may nonetheless tempt those feeling a bit lucky in their quest to make money online this June. The European Grand Prix has been a periodic fixture of the Formula One calendar since the 1980s, held at such venues as our very own Brands Hatch and Donington Park and the iconic Jerez and Nurburgring elsewhere on the continent. Until the most recent running of the race in 2012, it took place at the impressive Valencia Street Circuit. Well, if any setting can possibly provide a more spectacular backdrop than Valencia, it has to be Baku City in Azerbaijan, which becomes a part of the F1 calendar for the first time over the 17-19th June weekend. Nor could such a stunning debut be better-timed from the perspective of the championship battle, defending champion Lewis Hamilton having recently slashed Mercedes teammate Nico Rosberg's points lead as a result of his jaw-dropping Monaco Grand Prix triumph. 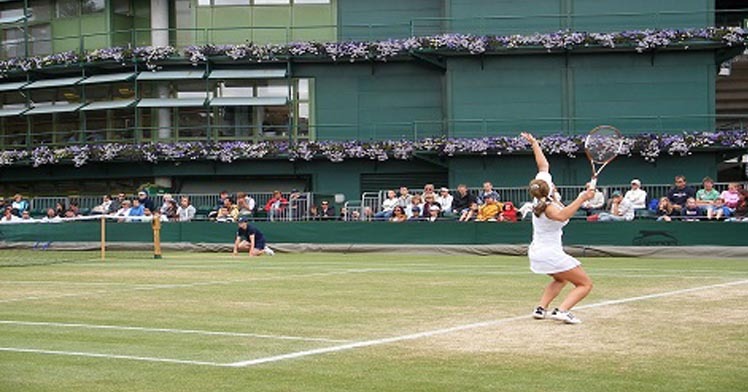 Fair enough, so you'll need to wait until 27th June for Wimbledon festivities to get underway, but there's no denying the enduring magic of Centre Court - including for those wishing to place highly profitable matched bets. The usual suspects - including defending champion Novak Djokovic, Roger Federer and Britain's own Andy Murray - figure highly among the favourites for the men's title, while Serena Williams is predictably tipped by bookmakers to retain the women's crown, with odds of 13/8 and 6/4 typically quoted. For those seeking a little better value among the ladies, the likes of Petra Kvitova and Victoria Azarenka are intriguing prospects. The above is naturally far from an all-inclusive list, although these events will likely bring the most joy to those who seriously aspire to make money from betting this June. As ever, it's your money, so it's your choice - but remember that you won't need to risk your hard-earned at all if you make your bets solely matched bets, as you can do so easily with ourselves here at Profit Accumulator.